What is in more of demand by the customer??? 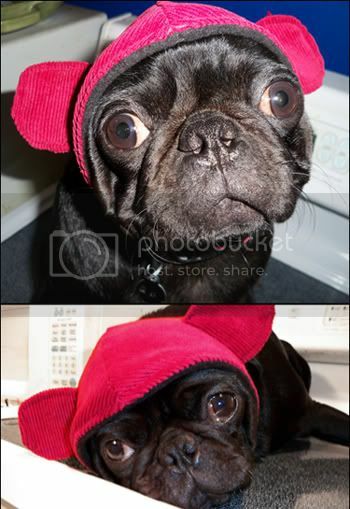 b) Dog hats with lil slits for the pet's real ears to poke out of? Help me out here... Let's put it to a VOTE! Reply to this post and tell me your opinion. i think it depends on what kind of ears a dog has. i think upright ears would probably be more comfortable if they had holes for them to stick out, and floppy ears would be better with the teddy ears. OMG! that is the cutest face!